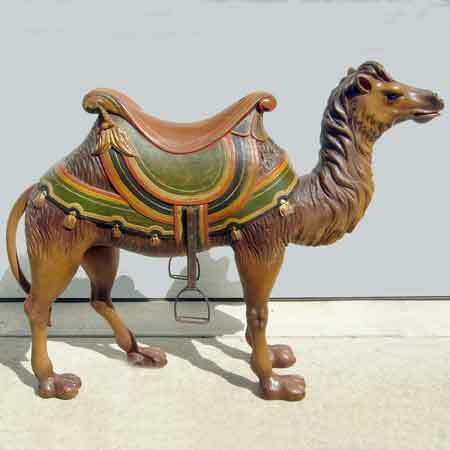 Very rare camel in mellow old style paint. The figure having a contemplative expression is harnessed of a saddle with tassels girthed over double blankets and further secured with encircling harness punctuated with tassels. Excellent condition and nicely carved fur detail. 55" long x 42" high.